Steel Battalion: Heavy Armor promises gamers to let them convey the feeling of controlling an imaginary tank with Xbox 360 and Kinect's combined control scheme. In a world where game devs are doing their best to minimize the number of devices cluttering a gamer’s room, a tank simulator game like Steel Battalion can be questionable. However, Capcom announced at the Tokyo Game Show last year that Steel Battalion’s next release – the Heavy Armor – will harness the power of Kinect. This could mean that the game will let players convey the feeling on controlling an imaginary tank. In Steel Battalion: Heavy Armor, you will take the role of Lieutenant Powers, fighting around the world from the comfort of your Vertical Tank. As for the game controls, the game apparently involves a hybrid of Kinect motion controls and Xbox 360 game pad. The physical controller is used for navigation and bringing destruction to your enemies. The Kinect, on the other hand, will keep track of your “upper body gestures” in firing up your tanks, when using the scope and switching over the vehicle’s gun turret. The Kinect would also be used when interacting with your crew. 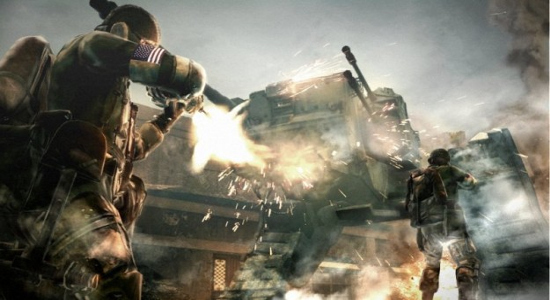 This could mean that Steel Battalion: Heavy Armor would offer a co-op component of some sort. However, there are still plenty of details to disclose before its planned release on 2012. So just stick it here at All We Like.